Contact Gloria Torres by email. Gloria Torres Cortes graduated from Santo Tomas Law School in Colombia. Mrs. Torres’ experience in Colombia was earned at Davivienda Bank, Criminal Court of Appeals and Politecnico de Occidente, an educational institution where she practiced Contracts, Employment and Commercial law. In 2001, she partnered with Servicios Corporativos para Aseguradores Ltda., a Colombian law firm that focused its practice in Insurance Law. Mrs. Torres was appointed managing partner and emphasized her practice in Civil Litigation, Criminal and Business Law. 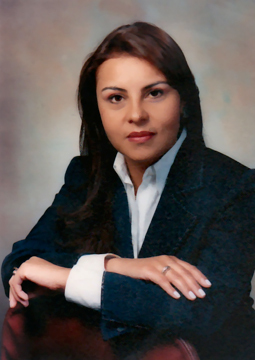 In 2007, Mrs. Torres moved to the U.S. where she pursued the Master in Laws Program (LLM*) at the California Western School of Law in San Diego, CA. In 2009, Mrs. Torres worked as an international associate at American International Practice Group where she assisted with immigration cases. Mrs. Torres also earned experience as a financial associate with World Financial Group while interning with Legal Aid Society of San Diego. Mrs. Torres is currently pursuing her second Master Program in Health Policy and Law; a joint program from the University of California San Diego and California Western School of Law. * As per CFR §292.1, a law graduate of an accredited U.S. law school who is not yet admitted to the bar is allowed to represent others under the direct supervision of a licensed Attorney provided other conditions and requirements are met.